On behalf of admin of JML Law, A Professional Law Corporation posted in Car Accident on Thursday, Nov 09 2017. California has the second highest car accident fatality rate in the U.S., shortly behind Texas. Last year, a staggering 3,176 car accidents deaths were reported in the state. But does it mean you should crawl into a hole, put a blanket over your head and never come near the roads in Long Beach or anywhere else in California? Instead, our attorneys at JML Law advise you is to learn all traffic rules by heart, never DUI, stay clear of drunk drivers and huge trucks and also have a car accident attorney’s number in your phone’s contacts (just in case!). While the high car accident fatality rates in California may be frustrating, our Long Beach attorneys have provided you with this handy guide to staying safe on the roads of Long Beach. Make sure you and all of your passengers are wearing seat belts properly. Make sure your car is equipped with all the advanced and modern safety features (older cars are usually less safe as they almost never have any additional safety features other than lap belts). Ensure that the safety systems in your car are maintained and serviced regularly (this includes airbags and seat belts). Never lean against the dashboard when you’re driving, as this may prevent airbags from saving your life (if you’re so tired that you feel like leaning against the dashboard, consider stopping the car and taking a nap in the car or nearby hotel, if it’s a long ride). Let professionals inspect and maintain your car’s engine, brakes, transmissions, suspension and tires regularly (driving a poorly maintained car can be suicidal on the roads of Long Beach). Follow all traffic laws and always be on the alert when driving a car on the streets of Long Beach. Adjust your driving according to weather conditions (never exceed 60 mph when it’s raining or snowing, or the road is icy). Drive at a lower speed when necessary (you’re not in a Fast & Furious film, and you can’t impress anyone with speed nowadays – people in Long Beach are generally fed up with this stuff). Never use your phone, laptop or any other advice while driving. Never text and drive. Don’t engage in other distracting activities like talking on the phone, eating or using body language (or even dancing while listening to music). Keep an eye on the moving and parked cars as well as pedestrians that may get into your way. Stay away from huge trucks and distracted drivers (driving and texting or drivers using a razor on the way to work). Stay away from aggressive and reckless drivers, as aggressive driving is one of the most common causes of car accidents in Long Beach. Stay calm and never overreact. Never tailgate anyone and never get aggressive. Never speed and never run through red lights. 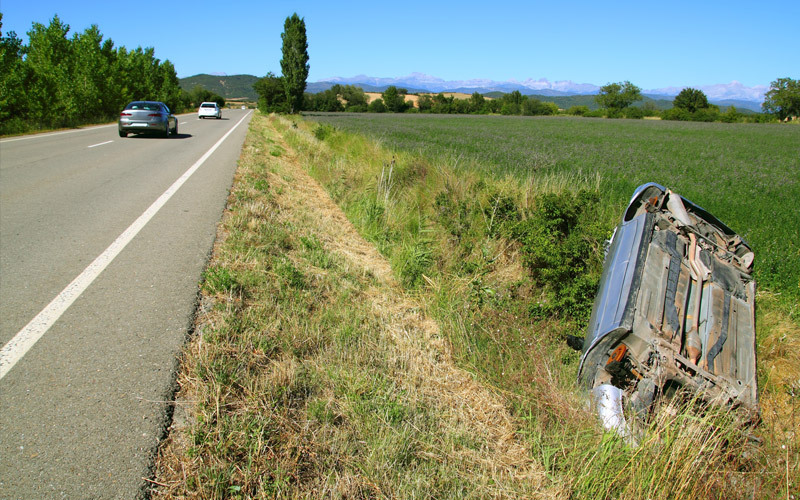 If a car accident is unavoidable, try to minimize damage and prevent fatalities by avoiding head-on collisions – the deadliest type of car crash – as well as front-end collisions into objects such as trees or buildings. Last week, a female passenger was killed in a two-car collision when her car crashed through a wall and came to rest against a home in North Hollywood. If you got into a car accident that involved minor or severe injuries or even fatalities, call medics to treat everyone’s injuries and (if necessary) hospitalize the victims. The second call you have to make (even before you call your car insurance company) is to a Long Beach car accident attorney. JML Law is offering clients a free initial consultation 24/7. Let us consult you about your particular case. Call our Long Beach offices at 818-610-8800 for a free case evaluation.